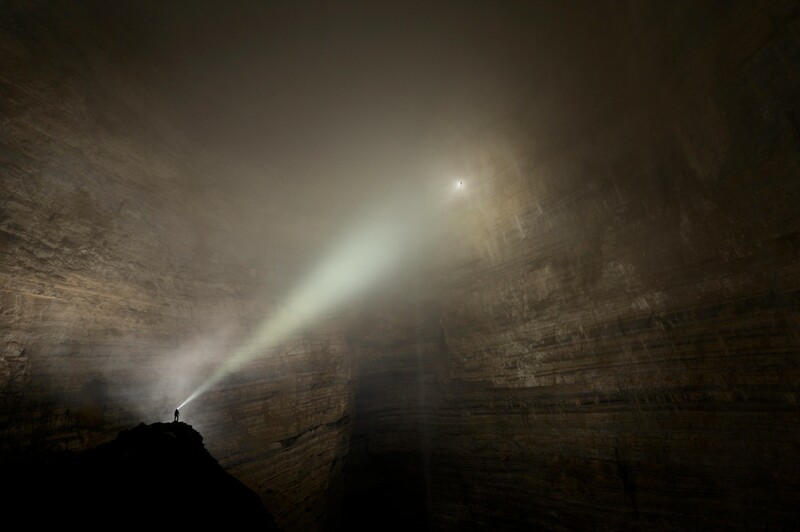 Suspended on a thin rope, engulfed in cloud and lost in time, a tiny figure is dwarfed by the sheer size on a monumental scale of Cloud Ladder Hall. The beam of light cast by anothers headtorch pierces the fog yet illuminates nothing. This naturally formed room is so large it has it's own weather system going on.